The Textile Museum in Blönduós exhibits a unique collection of homemade wool and textile items. It also exhibits beautiful Icelandic national constumes and artistic embroideries along with many of the tools and equipments used to produce them. 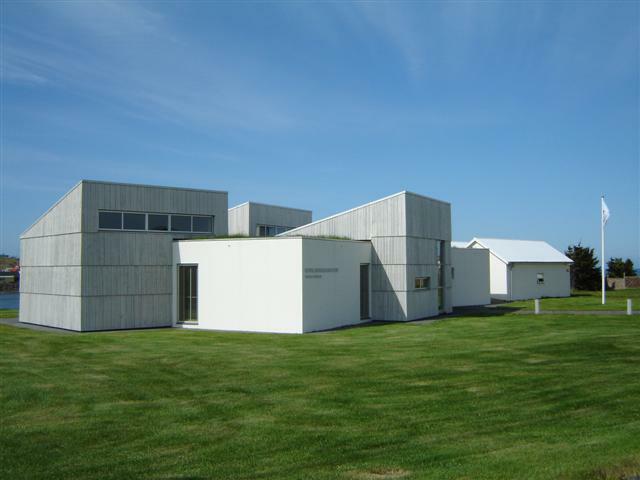 An important part of the museum is named after Halldóra Bjarnadóttir (1873-1981), a well-known lady in Iceland. She was a domestic consultant for the National Farmers Union in Iceland for many years and she published the „Hlín” magazine for 44 years. Moreover, she founded and operated the Wool- and Textile College at Svalbarði in South-Þingeyjarsýsla. Halldóra dedicated herself to the social and educational affairs of women and was an eager representative of their culture. She collected varieties of weaving and knit patterns as well as many types of small objects related to wool- and textile processing. Halldóra never got married and had no children. She donated her last belongings to the Textile Museum which are now preserved in „Halldórustofa” (Halldóra´s Room). 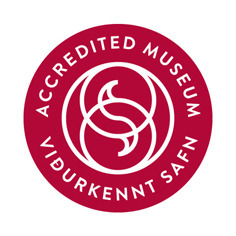 Since its foundation in 1976 the museum was situated in a rather small and narrow building. The building used to be the stable of the Women’s School (Kvennaskólinn) in Blönduós. The museum’s new building was opened with a big party on May 9, 2003. The underlying theme of all exhibitions is the “Þráður” or the “thread”. 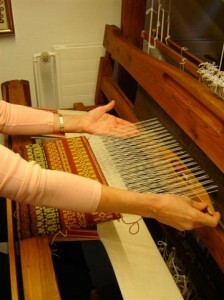 The “thread” is the basis for all textile handy craft and connects the past with the “today”. 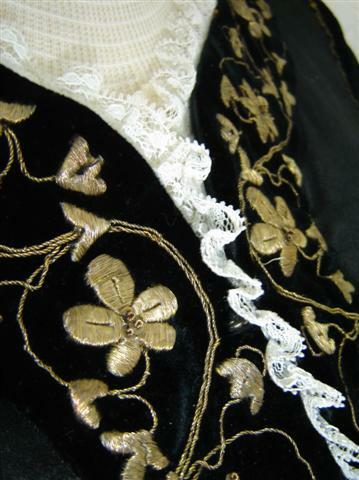 Exhibition of National Costumes: The museum owns a unique collection of very beautiful Icelandic National Costumes from different periods. Exhibition of handy craft: This exhibition aims at giving the visitor something special and experience. 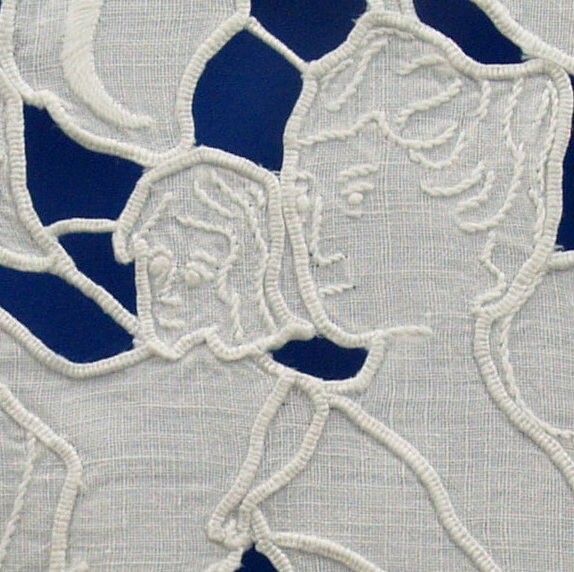 Art-full hand-made embroideries and beautiful hand-made underwear give this exhibition a very special atmosphere. Wool Exhibition : The exhibition shows the processing of the wool from the sheep to the finished clothes. The different items of the exhibition are accompanied with English text and explaining pictures. Halldórustofa is a special part of the museum and is named after Halldóra Bjarnadóttir (1873-1981), a well-known lady in Iceland. She was a domestic consultant for the National Farmers Union in Iceland for many years and published the „Hlín” magazine for 44 years. Moreover, she founded and operated the Wool- and Textile College at Svalbarði in South-Þingeyjarsýsla. Halldóra dedicated herself to the social and educational affairs of women and was an eager representative of their culture. She collected varieties of weaving and knit patterns as well as many types of small objects related to wool- and textile processing. Halldóra never got married and had no children. She donated her last belongings to the Hand Craft Museum which are now preserved in this exhibition of the museum, dedicated to her. Tools and Equipment: Spin wheels, loom and other tools for the production of different kinds of textile items are also exhibited in the museum. Private Exhibitions: Every year, the museum invites a textile designer to exhibit his or her work. These exhibitions differ from year to year.